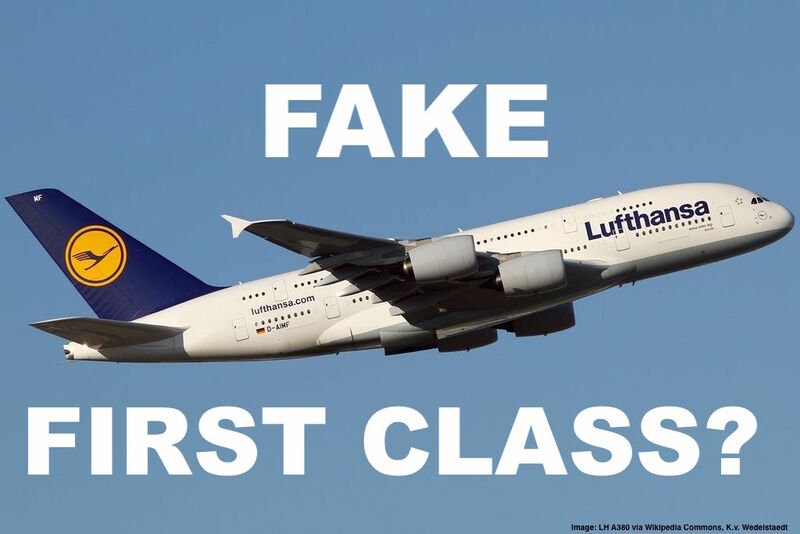 Reader Question: Lufthansa Is Selling Fake First Class Seats On Domestic Flights, What’s Up With That? 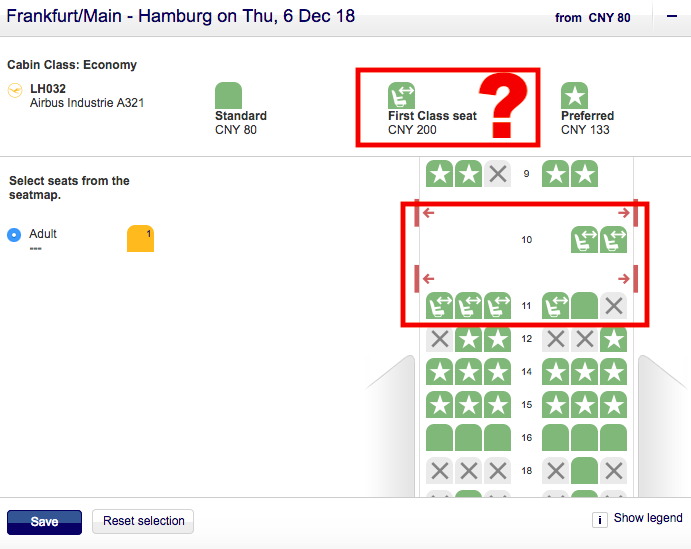 Today we have a very interesting Reader Question that stuck out because the way Lufthansa is representing some of their domestic flight inventory when it comes to seating is plain misleading and dishonest. Lufthansa has started selling their basic fares that don’t include any seat reservation quite a while ago and even some of their international fares now have a mandatory payment to select even the most basic seats. What I didn’t realize is that the carrier now sells certain premium seats and has designated them as “First Class” which is really requiring a lot of imagination to phrase it that way. Hey look at my flight from Frankfurt to Hamburg it says first class and it’s just 200 [CNY]. So cheap! Should I buy it? The upgrade to Frankfurt is confirmed, I bid 945 dollar. I suggested to use the upgrade bidding system as she was interested in Business Class and she got them both for a reasonable rate of ~ US$900-945 each way. However this “First Class” designation baffled me because Lufthansa doesn’t have First Class on their domestic flights, only Business Class and those won’t be sold for 200 CNY (25 EUR). These seats which Lufthansa describes as First Class in a cheeky or better said dishonest way are just plain Exit Row seats for the price of 25 Euro a pop for this short domestic flight from Frankfurt to Hamburg. Even a standard seat is 10 Euro and keep in mind this isn’t a domestic Basic Economy fare but an international ticket that was not cheap (well over a thousand dollars) and a mix of K & V class. Lufthansa really shouldn’t advertise their product this way. First Class suggest a different class of service entirely and not a plain exit row seat. It’s ridiculous to phrase it that way and get people who don’t know better to fork over extra money in expectation of an actual upgrade which of course isn’t one. I sent an email to Lufthansa asking for an explanation of this way to sell their seating inventory but haven’t heard back at this point. In my opinion this is nothing but false advertising of a product that actually doesn’t exist. Next articleUpdate On SPG Legacy Qualification Criteria & Account Status (Incorrect Information From Marriott Customer Service) – It Gets Worse!